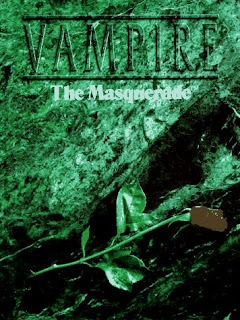 I saw Vampire: The Masquerade a number of times at the local Waldenbooks in the early 1990s. As a poor college student without a lot of free time I didn't make that many gaming purchases back then - and without a regular book there didn't seem much point in purchasing it. But every time I was there I flipped through it and was amazed - it was different from any other RPG I'd ever seen. From the evocative art to the comic book style story within to its themes. Eventually I wound up purchasing it. Truth to tell, I've not gotten that much play out of it - in that, it resembles Pendragon - a game I really like but have gotten very little opportunity to play. However, the few times I've played it were a blast - whether it was dark and moody or superheroes with fangs, it was a blast. 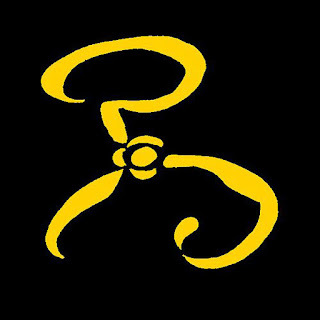 Based on the classic Call of Cthulhu adventure "Tell Me, Have You Seen the Yellow Sign" by Kevin Ross. 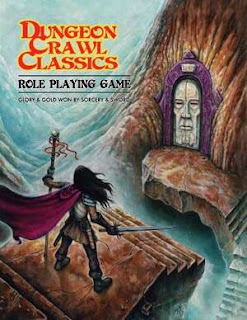 Originally published by Chaosium in The Great Old Ones, revised version published by Golden Goblin Press in Tales of the Crescent City. After dealing with a bout of paranoid madness, the investigators limped their way back to their hotel to recover from the shock. 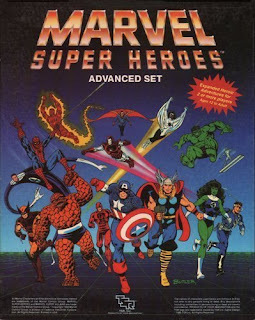 There have been a number of RPGs based on Marvel Comics but my favorite remains the original game, as published by TSR in the 1980s. It's been around 25 years since I've played the game but I still have very fond memories of the game. I believe TSR made the game from 1984 to 1993. There were two main rules sets - the original basic game in 1984 and the advanced game which was releases in 1986. TSR later published a revised basic set. The game reflected the changing Marvel universe - it began with a strong Bronze Age of comics feel, though over time it acquired the Iron Age feel of late 1980s and early 1990s comics - the proliferation of X-Men teams, supernatural characters, etc. Though strongly rooted in the Marvel Universe, the game had rules for your own characters, teams, headquarters, etc. We're entering a region of my Top 19, probably up to number 6 or 7, where I'd almost be inclined to list a 6-way tie. I like all the games on this list a lot and we're hitting the games that I really, really like. I have a mixed record with superheroes. I love superhero comics, but my success rate with superhero campaigns is rather limited. That said, there will be some superhero entries on this list - games I have had the opportunity to play and enjoy. I had the opportunity to clock some time running an Icons campaign and definitely had a lot of fun. It's clearly a relative of Fate, though with a good dose of TSR's old Marvel Superheroes RPG in the mix as well. 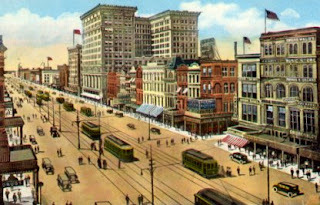 The investigators received a telegram from the great occultist, Étienne-Laurent de Marigny of New Orleans asking them to travel to New Orleans, indicating he required their services in an investigation. 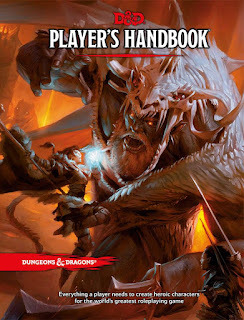 Back in 2015 I gave my first impressions of the 5th edition of D&D. Beyond that brief campaign I haven't clocked much 5th edition time but my impressions remain - it's a great game. It takes a number of lessons learned from the 3rd and 4th editions of the game.